A medical practice’s job is to care for patients, not keep track of and sort out billing. That’s why medical billing software exists! But what do you need to look for in software for billing? Do you need Medical Practice Management software or Electronic Health Record software? Do you have one of these and still need a separate medical billing software solution? It can be overwhelming, we know. That’s why we’ve compiled a comprehensive checklist of medical billing software features and requirements to help you make informed choices about billing software. Patient pre-registration is crucial for improving the onboarding and intake process of your office. It’s easy to get bogged down with complicated data collection and administrative tasks. By collecting patient intake materials ahead of the appointment, pre-registration helps organizations create a higher quality consumer experience and increased patient satisfaction. Don’t wait for your patients to come in the door for scheduling and check-in. Manage patient intake forms and patient history in the same interface as insurance eligibility and medical benefit checks. The patient registration process is instrumental for giving a good first impression of a healthcare organization. A positive patient experience that starts at the check-in desk can set the tone for the entire care encounter. Medical claims management is the organization, billing, filing, updating and processing of medical claims related to patient diagnoses, treatments and medications. Because maintaining patient records, interacting with health insurance agencies and issuing invoices for medical services are time consuming responsibilities, some hospitals and medical facilities outsource those tasks to medical claims management firms or medical billing software. Without effective medical claims management, patients wouldn’t know what they owe and medical facilities wouldn’t receive the funds due for patient services. Electronic claims processing and paperless claims collections make everything more streamlined and prevent communications from being lost in the mail. Everyone can be on the same page when they can access claim tracking, history and reconciliations. Practices can make mistakes a thing of the past with claim scrubbing and electronic remittance advice and alerts. When patients receive medical treatments, charges for the services are coded and processed by doctors and administrative staff. They are then sent to health insurance agencies for coverage determinations. Medical billing services process electronic and hard-copy data to determine what patients owe and what costs insurance companies cover. They process billing and send invoices to patients and insurance agencies to ensure they pay their respective portions of the expenses. In some cases, Medicare, Medicaid and state-sponsored agencies also pay some of the medical expenses. Practices can streamline the billing process from beginning to end and keep billing records in a single convenient digital location. They can generate billing statements, send out statements in paper or paperless form, and remind patients to pay from a centralized interface. If a claim is rejected or a patient doesn’t pay, you’ll need functionality for collection and denial management. Store and access all your patient information in a centralized, easy-to-access interface. Make it easy for your patients to access their medical records and medications by implementing a patient portal.  Not only can this reduce in-person phone calls or communications to get basic information and inconvenient pharmacy visits, it can significantly improve patient satisfaction. Plus it frees up your staff to do work around the office that is more important than looking up patient information or fielding phone calls. If you use money to run your practice, you need medical accounting software. If it involves money, get it managed. Ok, it may not be that black and white, but the majority of medical practices can benefit from some form of medical accounting software. The headache of trying to manage it in-house without some kind of software help isn’t worth it! Some EHR software offer a medical accounting module, but some practices prefer a separate medical billing software solution. Allowing patients to pay for visits and prescriptions online will make their lives much easier, and the functionality for automating the revenue cycle will do the same for your office staff. No one uses physical calendars anymore. After all, they take too much manual work — especially for healthcare providers scheduling appointments. In order to reduce that work, online calendar options with email integrations were developed. But even with the upgrades there was still room for improvements. 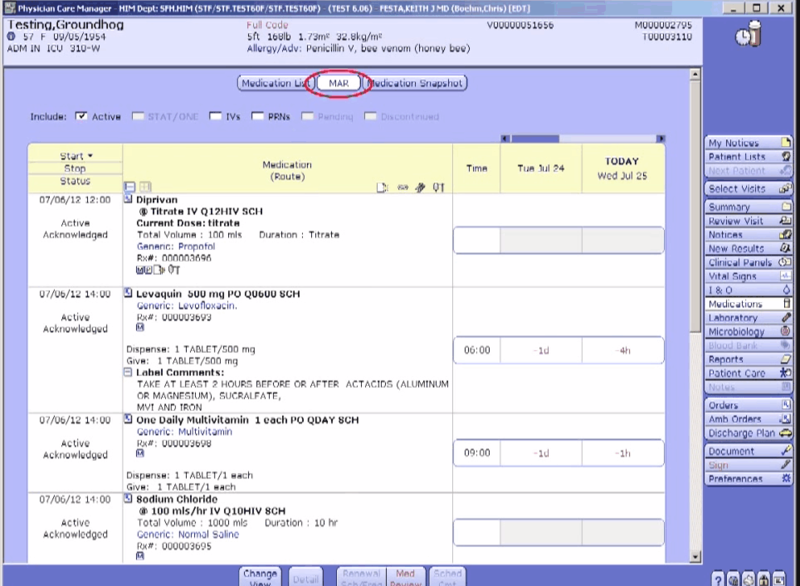 Enter patient scheduling software. It’s pretty self-explanatory: patient scheduling software is a program that helps you schedule appointments for your patients. Though it might be a simple concept, there’s more to this software than meets the eye. It’s changed the way medical offices handle patient records. The best scheduling systems not only display appointments, but also show other periods of time when your physicians aren’t available. 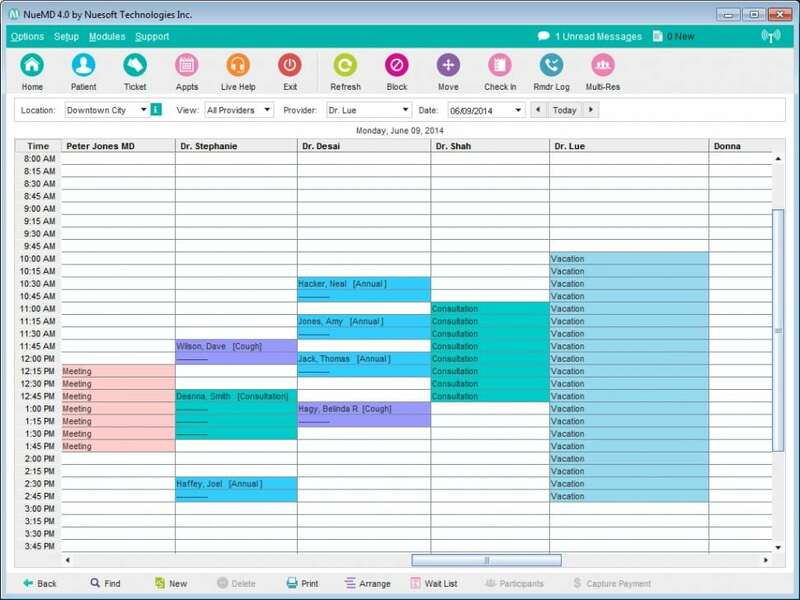 Appointments and busy periods can be color coded, making it easier to view what each day’s schedule will look like. Physicians can Streamline and smooth their patient scheduling system by integrating it into your existing EHR or EMR software. This allows users to manage patients’ and physicians’ schedules in the same place with color-coded scheduling options and reduce missed appointments with automatically-generated appointment reminders. Workflow management involves overseeing a process from beginning to end. This involves individual tasks that move from one step to the next until the task is complete. Workflows can almost always be optimized, and at an operation as busy and crucial as a medical office you can be sure there are processes that can be automated or streamlined. Workflow management features allow your practice to automate various repetitive tasks. Some of these include the processes of coding to ensure accuracy, validation and explanation of benefits posting, and optimizing the general workflow of your employees and systems. Medical document management is an especially crucial feature for medical practices. Practices can store documents, patient records, images and lab information in the same digital files as patient information and payment history. They can access those documents any time, anywhere and back them up to prevent data loss. Users save space, save time for finding important documents and reduce overall confusion when you consolidate into an electronic document management system. Electronic document archiving and retrieval is proven to help medical offices reduce the cost of maintaining paper, increase productivity, and make day-to-day organization much more efficient. Business intelligence reporting (BI reporting) is the process of receiving and providing information or reports to users, organizations and applications through a BI software /solution. It is typically a part of BI software that delivers summarized and structured reports for the analysis or operations performed one or more sets of data. Users can know what’s happening in every element of their practice by utilizing this feature. 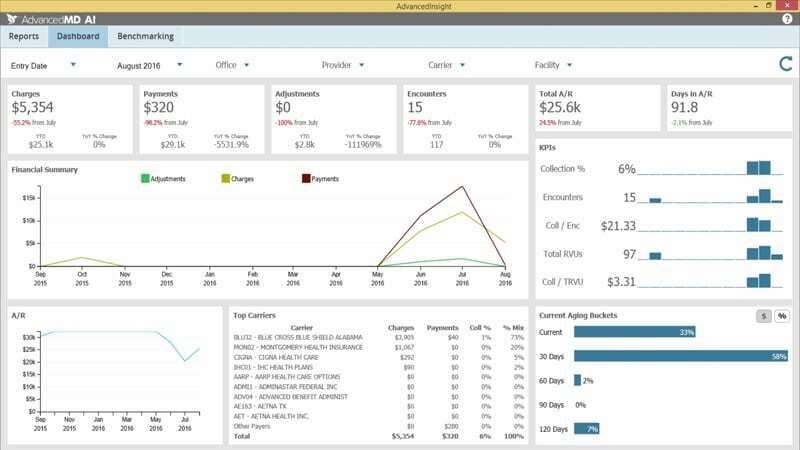 Reporting and BI features gives users access to financial reports, practice reports, patient history and other custom reports in user-friendly physician dashboards. Data security compliance in the medical field isn’t just crucial to protecting your patients’ data — it’s the law. Rest easy knowing your data is stored safely and securely in line with the most recent version of HIPAA compliance standards. Healthcare compliance is a general term describing the observance of conventions, guidelines, and state and federal laws. Practices, clinics and other healthcare facilities normally have staff members dedicated to fulfilling regulations that protect patients and staff, assure privacy of personal information, and that standardize that information. HIPAA requires providers and facilities to maintain compliance plans requiring monitoring and training. Now that you know what to look for, you can start your search in earnest. Make your practice function its smoothest by implementing medical billing software that fits your needs. Or, check out the other types of healthcare technology software if you’re not sure what type your practice needs. Did we miss any medical billing software requirements and features? What’s most important to you in medical billing software? Let us know in the comments! I am not in medical industry but I use billing software and having it is really good for cash management. It will improves cash flow. So, I think weather its hospital or business. Having a billing software will be a good investment.